Medical Camp- Health is Invaluable!! A medical camp was organised by blue circle in K.R. Mangalam world school today. Dr Niddhi Verma/ MBBS ( General Physician ) was present to check students complete body checkup. 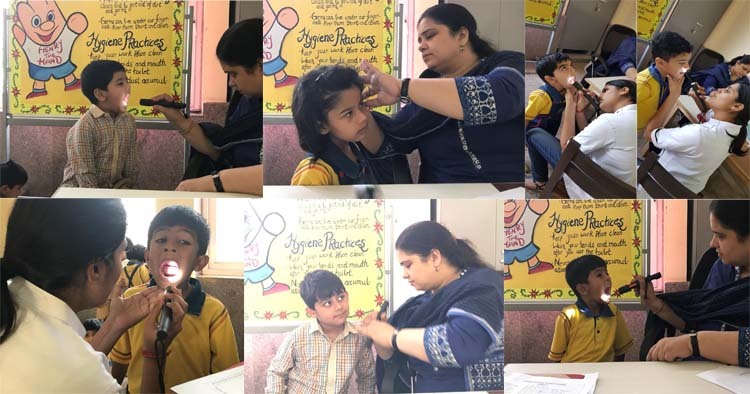 Dr. Indu Tanwar / BDS ( Dentist ) did the oral check up & briefed children about brushing properly and take precautions. 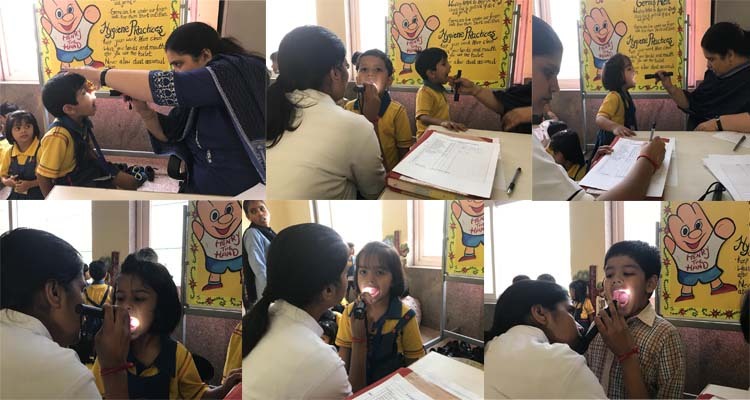 Ms kshama Sharma did the eye vision check up and MR. Rohit measured the height and weight of all the students from class Pre- nursery to IV and IX report of the students will be sent by the team. Each student’s would get health card leaving all details of his/her health status.